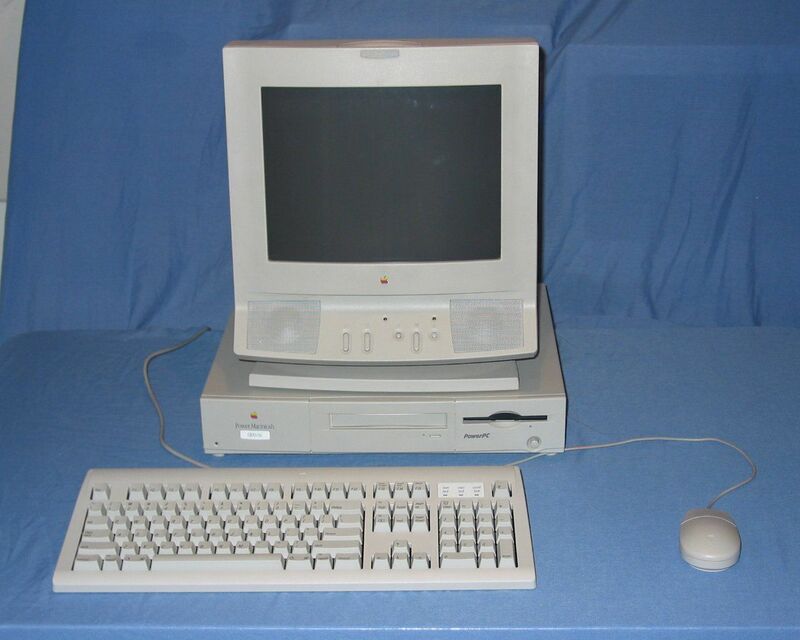 The first ever Macintosh to be powered by a PowerPC processor the PowerMac 6100/60 which was introduced in March of 1994 and discontinued under a year later when it was replaced by a 66Mhz variant. 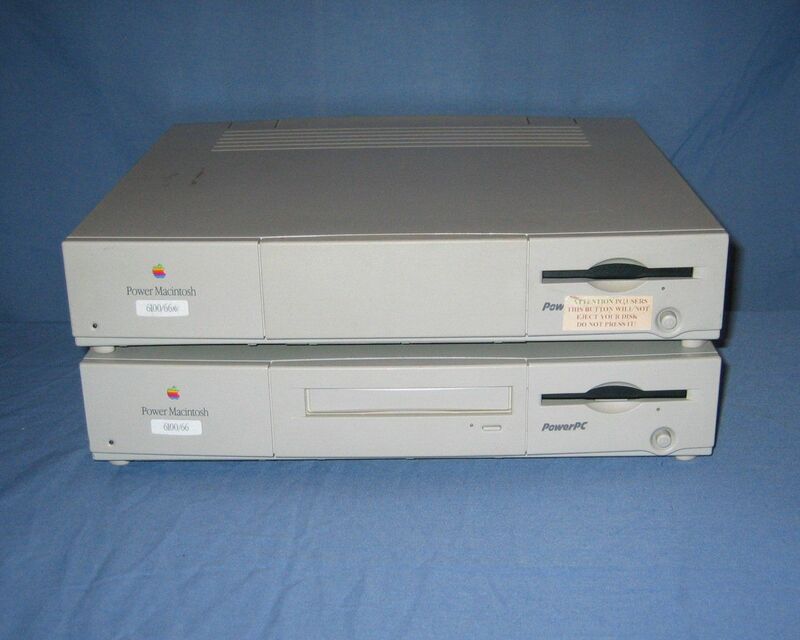 The PowerMac 61xx series comprises variants of the Power Macintosh 6100, the Performa 61xx series, and the WorkGroup Server 6150 series. They all are essentially the same machine, sharing a common case, motherboard and ROM. Aside from minor variations in the native CPU/bus speed all other features are user-installable. This series is also closely related to the Power Macintosh 7100 and 8100 series. These three families are collectively known as the Nubus PowerMacs. The 6100/60 was the lowest configuration available in the family. 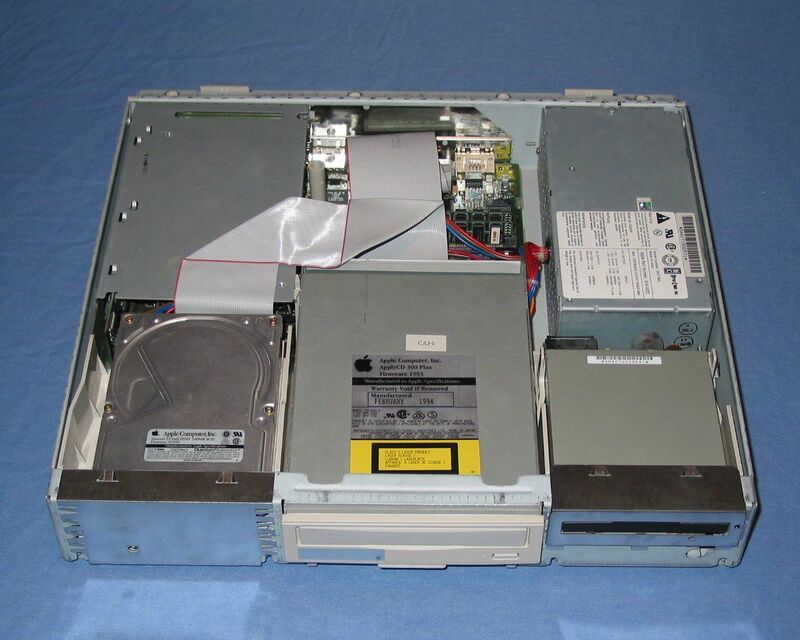 The Performa and WorkGroup Server variants included an internal CD-ROM and generally a larger hard drive, while the AV and DOS variants respectifully included the AV and DOS expansion cards. My first 6100 system was obtained for free from a friend's work along with my third IIci. I also got an AppleVision 14 monitor, AAUI Ethernet tranceiver, keyboard and mouse with this system. Initially the system only contained an additional 8mb of RAM to the 8mb on the logic board, no CD-ROM, and a dead fan in the power supply. Swapping the 2x 4mb SIMMs for 2x 8mb SIMMs was trivial as was inserting the Apple 300i drive that I purchased for $20 through eBay and was intending to put it in the now unused LC630. Replacing the power supply fan was slightly more fiddly. 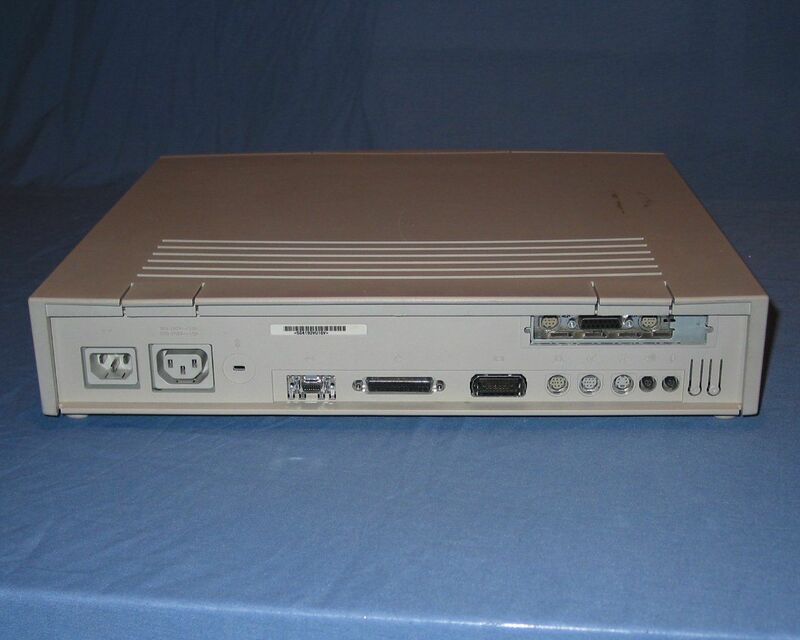 Since the AppleVision 14 Display has the HDI-45 combined video, Apple Desktop Bus, sound and tv connector I decided to spend some money on two 6100 cases with motherboards for various parts since I do not have the required adapter to use the monitor on a normal DB15 video connection. 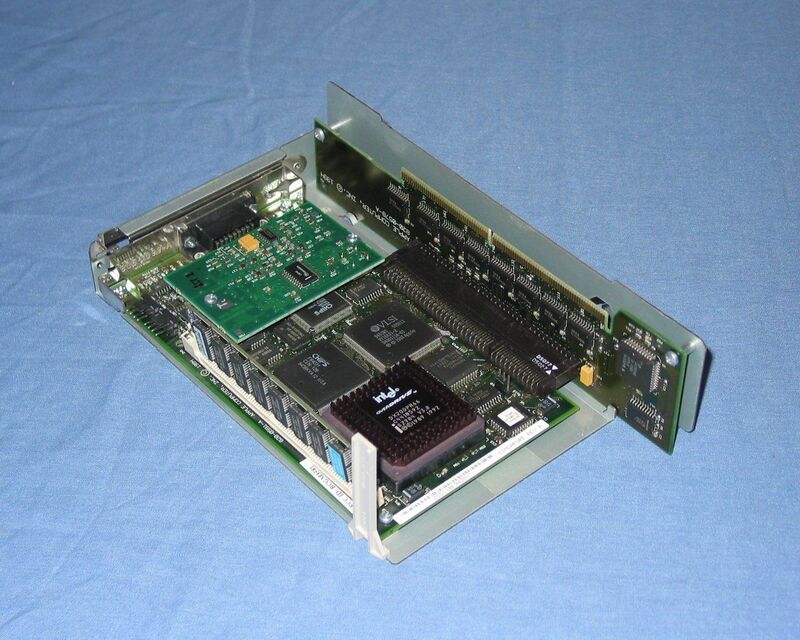 I also managaged to get my hands on both a DOS Compatability Card, with the 'octopus' cable, and an AV card. Mac OS 7.6.1 is currently running on this system although it might be replaced by Mac OS 8.1 if additional RAM is aquired. A complete 6100/66 system with an AppleVision 14 Display, Apple Design Keyboard and a Apple Desktop Bus Mouse II. Two system units demonstrating two of the types of centre bezel, the third type was for a caddy CD-ROM drive. The sticker next to the power button on the upper unit is quite humourous. 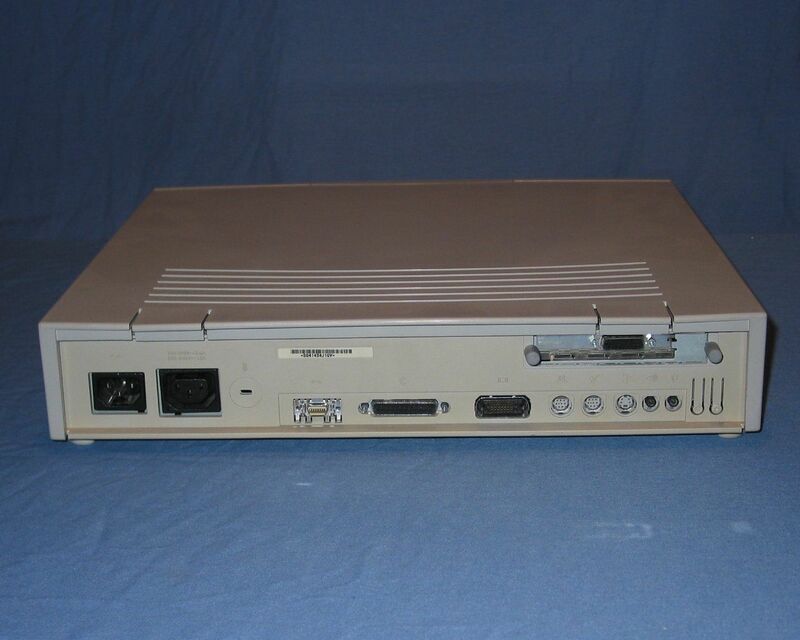 Rear of the system unit showing the power connections, kensinton security slot, AAUI ethernet, SCSI, the HDI-45 port, serial printer, serial model, Apple Desktop Bus, headphone, microphone and the reset and interrupt switches. With the cover removed it is evident why heat was a common issue with these systems as everthing is so tightly packed together with the only fan being in the power supply. Half covering the logic board is the DOS Compatability card. 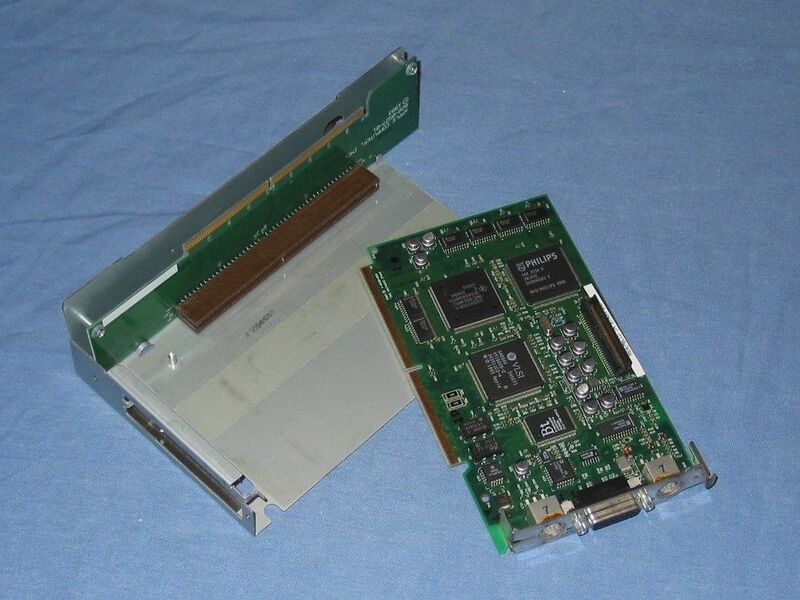 The DOS Compatibility Card itself. 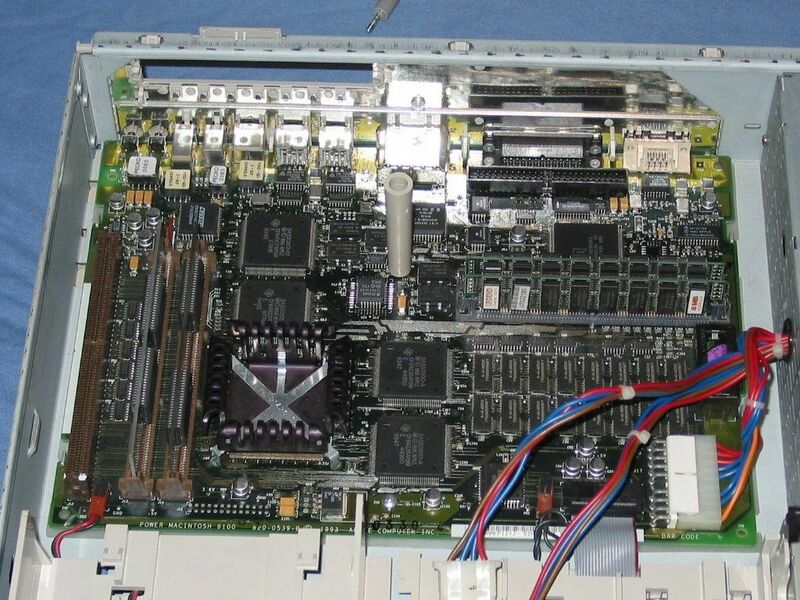 This has an Intel 486 DX2 CPU, its own 16MB of RAM and even a soundblaster card (the little daughter board). The rear of the system unit again however this time the AV Card is installed in the expansion slot. The AV Card provides S-Video input and output as well as an additional video controller. This is faster than the onboard one as it has its own dedicated RAM. 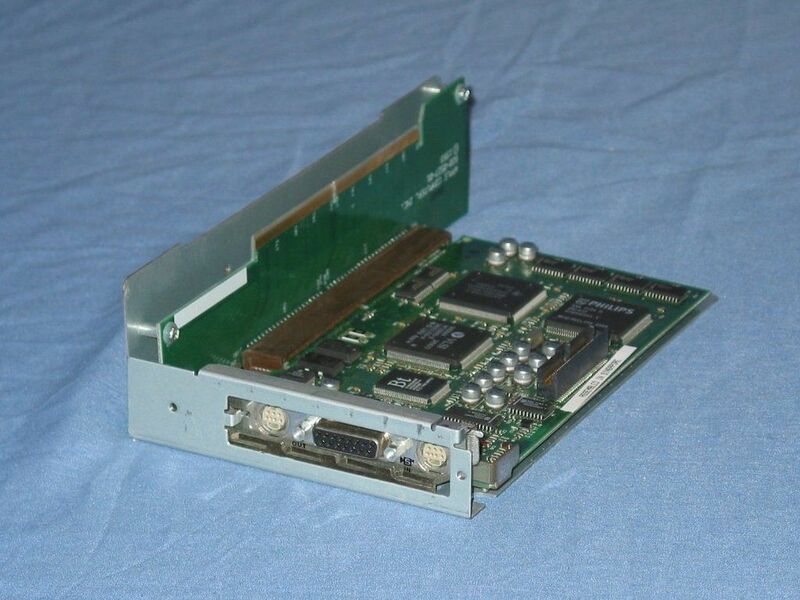 The AV Card can actually be installed in any of the 6100, 7100 or 8100 series computers. However in order to fit inside the 6100 chassis an adapter is required. A comprehensive resource for a variety of upgrades to the Apple PowerMac 6100 and related machines. Investigations of the cable for the DOS Compatibility card from a Power Macintosh 6100.